Cable Management Brackets make patch cable well organized and includes 4 open rings to provide a channel for your cables. 8. Suitable for 19” inch data racking system. 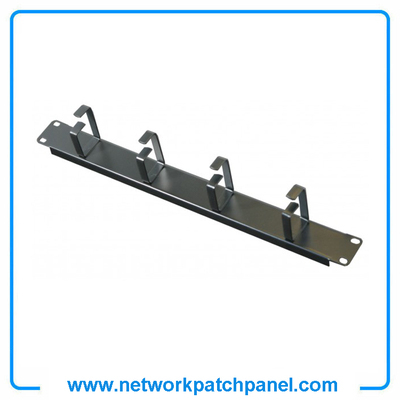 Apply to patch panels, wiring and patch cord the device of horizontal and vertical cable management~ simple design on a variety of cable provides a flexible, efficient and safe management of wiring systems and tidy appearance. 1.used for network communication in telecommunication field, Gigabit Ethernet, together with Patch Panel, Face Plate, Patch Cord, Cable Management, Cat5e/Cat6 Cables, RJ45 Keystone Jack, etc.